Mobile clothing stock images by Aurielaki. interface app illustrations in EPS10 EPS JPG AI SVG. Website order on mobile clothing app. Edit and easy customize isolated landing page, buy or shipping cart template. Infographics, images for web banner. Flat isometric vector illustration. SKU: Mobile-clothing-app-interface-AurielAki. Category: e-commerce banners. 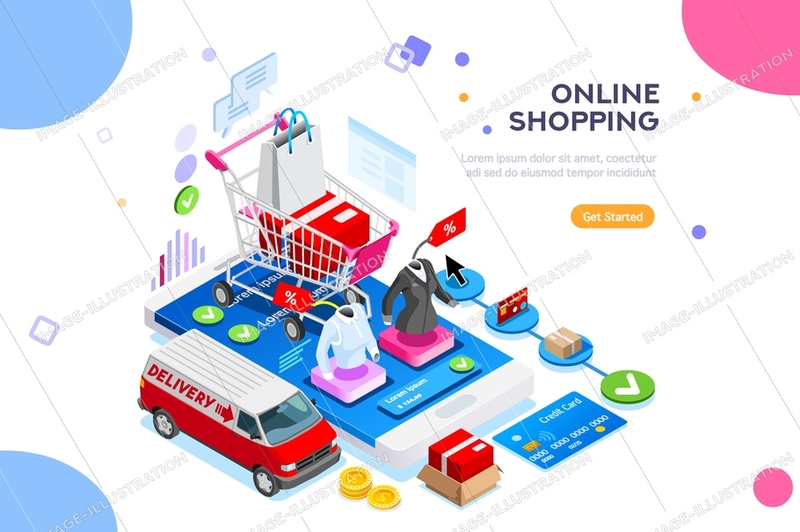 Tags: 3d mobile, app, background, business, button, buy, cart, cartoon, cash, clothing, commerce, concept, credit, customer, customize, delivery, device, e-commerce, easy, edit, electronic, flat, icon, infographic, internet, isolated, isometric, landing, marketing, mobile, modern, money, online, order, page, payment, people, phone, purchase, sale, shipping, shop, shopping, smartphone, store, technology, touch, virtual, website, woman.